Acer announced its latest quarterly hardware sales last Friday, and the results were definitely not what the company expected. 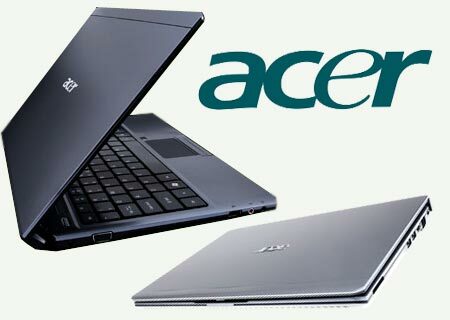 Reuters is reporting a prominent 10% decrease in PC sales for Q1 2011 compared to Q4 2010 when Acer previously expected a 3% growth for this latest quarter. Additionally, total revenue for the first two months of 2011 was down almost 36% compared to the previous year, according to SFGate. “The notebook market is not doing well in general and Acer’s sales performance may indicate other ODMs are not doing well either,” said analyst Angela Hsiang. She continues to identify the recent earthquake in Northeastern Japan as a culprit for slower sales in the next quarter. Acer, however, believes that the upcoming quarter could have improved sales due to new tablet releases from the company. The statement is likely referring to the Iconia series of tablets, some of which are coming to the U.S. under contract with AT&T and Verizon. Unfortunately, prices will have to be extremely competitive upon each release in order to compete with Apple’s iPad 2, Hsiang claims. Meanwhile, SFGate points to tablet cannibalization of netbooks as the main reason for Acer’s decline in sales. The Taiwanese manufacturer is well known for its line of affordable notebooks and inexpensive Aspire One netbooks, but this specific laptop sector must now compete with the growing tablet market as well. Rumors earlier this year claimed Acer would be shifting its focus away from netbooks and into tablets, but the report has since been debunked.